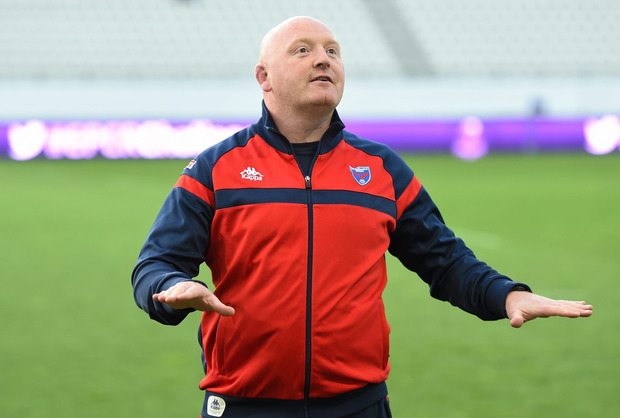 Bernard Jackman is one of the few Irish coaches to have experience of working in the French Top 14 - where he learned a valuable lesson about how much some players value their desserts. Jackman worked for French side Grenoble from 2011 to 2017, working his way up from assistant to head coach by the end of his time there. Grenoble were known for their expansive rugby during his time involved with the side, but he departed the club last season after a falling out with management, after which it emerged that Jackman and the players had a disagreement over how much dessert they could eat. Speaking on The Left Wing, Independent.ie's rugby podcast in association with Laya Healthcare, Jackman talked to Luke Fitzgerald and Will Slattery about the differences to coaching in France. "It was just another step too far!," Jackman laughed when asked about trying to restrict the desserts..
"They [players] went to the President because there was a 6.30am session in the morning for guys in fat club. In fairness, I didn't try to ban it. The problem is, we were in camp and there were cakes at breakfast, a big cake at lunch and more desserts and I said 'can we not cut back to one a day?' and there was uproar! In fairness, you have to pick your battles and there were loads of stuff you had to let slide. Maybe I should have let more stuff slide but at some stage you need to make a stand and say 'listen, this isn't going to help us'. But you have to do things slowly and maybe I didn't have the patience." Jackman is now the Director of Rugby at the Dragons in the PRO 14.